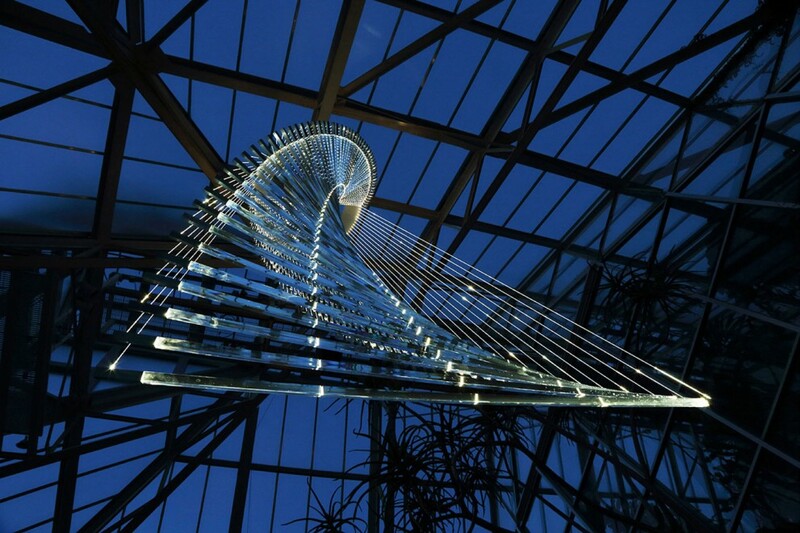 Chindi was inspired by Munro’s first visit to the Desert Biome at Franklin Park Conservatory, USA. 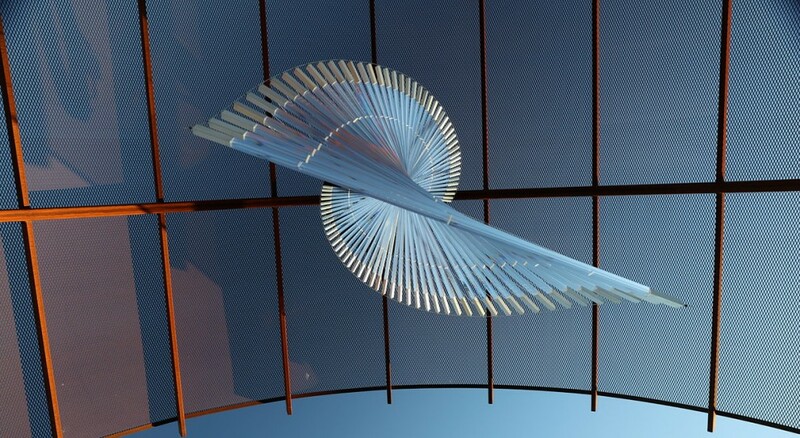 Having spent some time in the deserts of central Australia in his twenties Munro was engaged by the hot dry airs and a palette of Sienna hues within the biome. 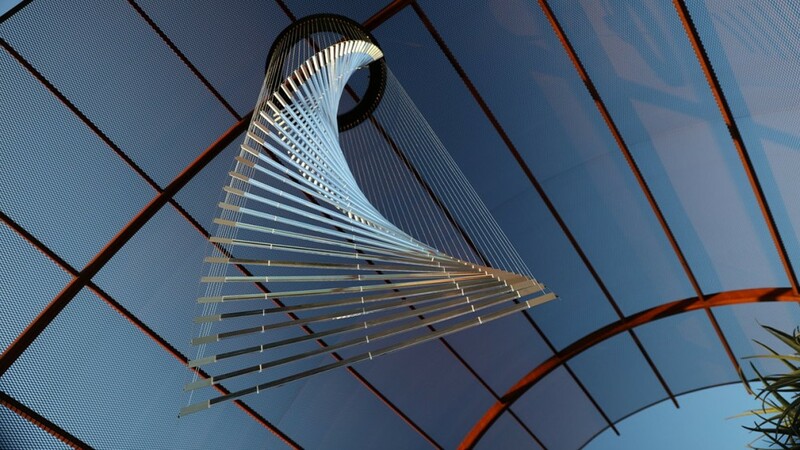 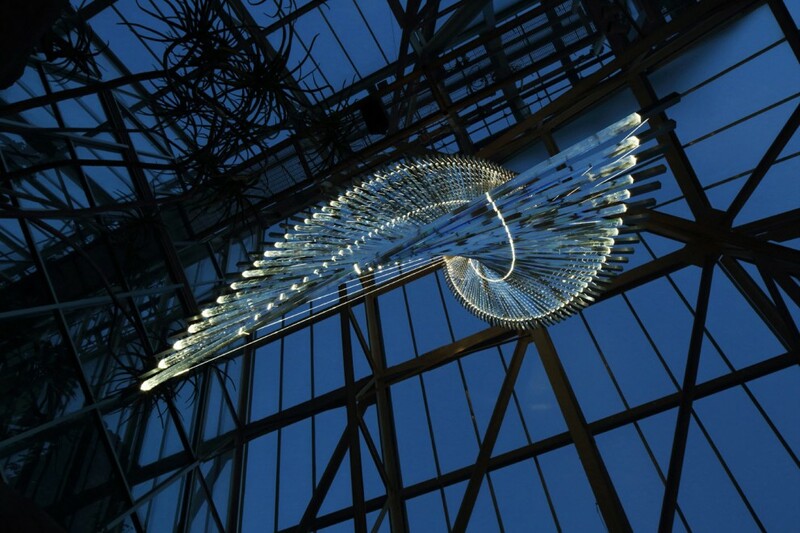 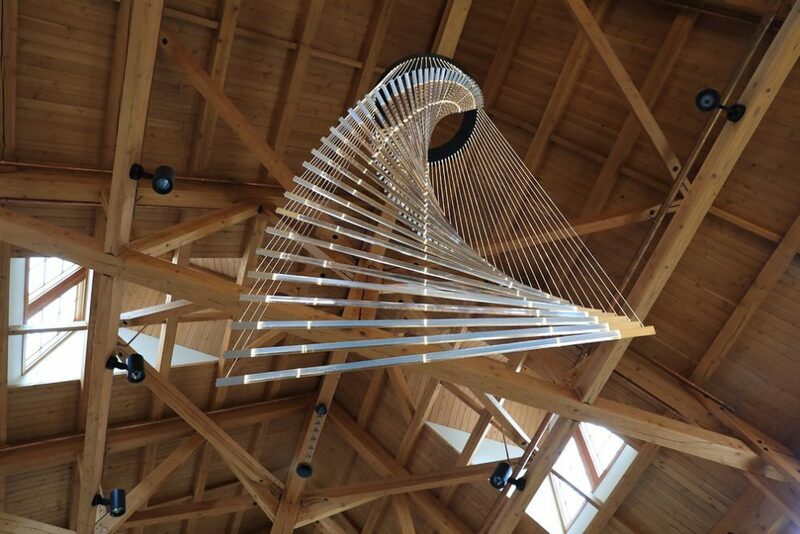 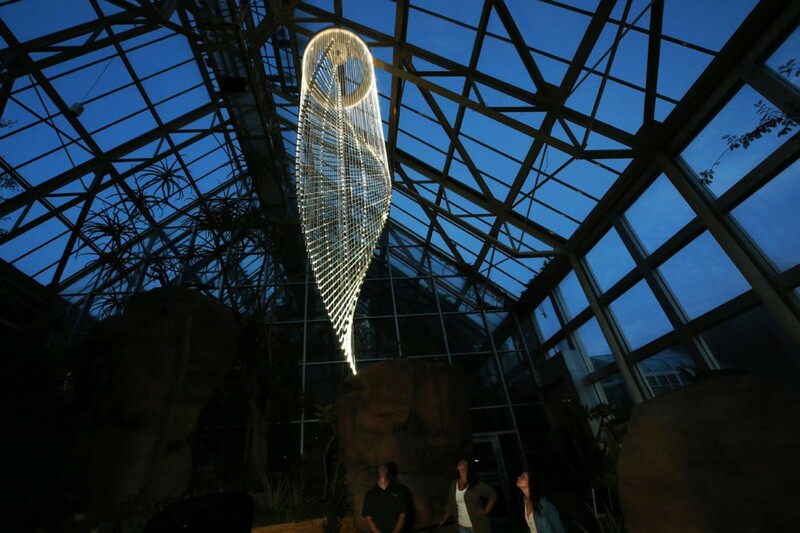 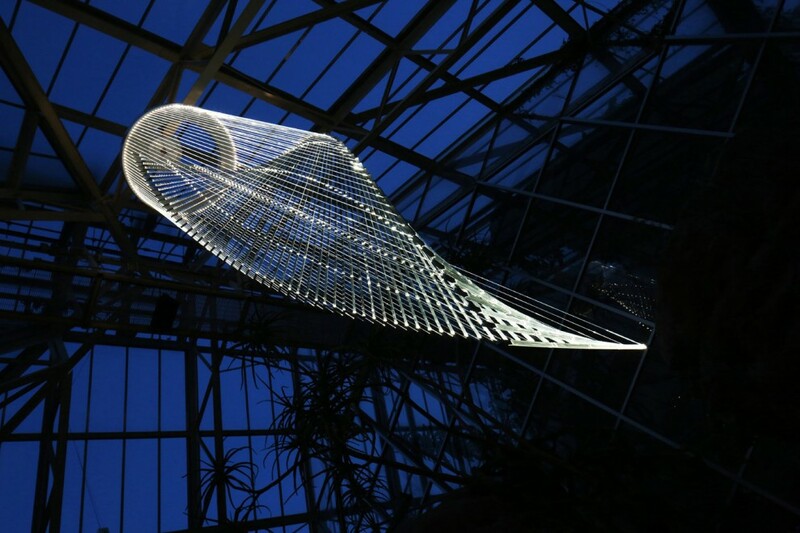 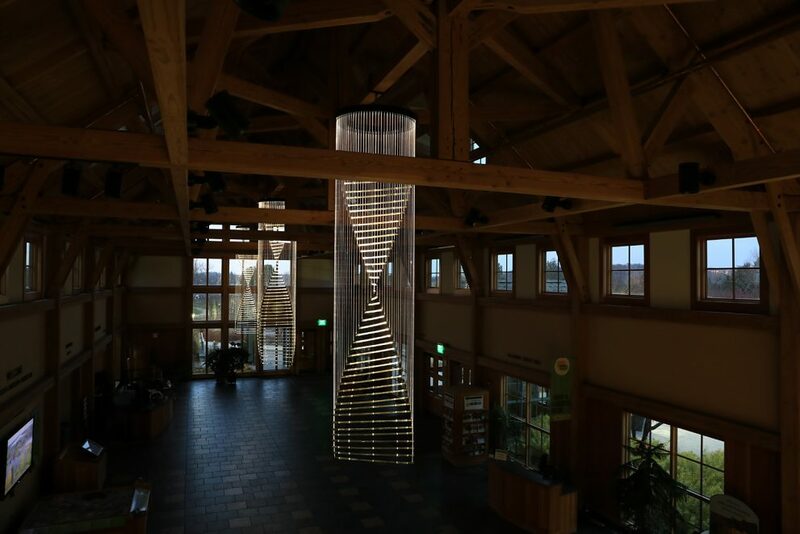 Memories of watching dust devils came to mind and Munro decided to give form to these ephemeral vortexes, created from a series of prismatic acrylic rods suspended in a helix form, at 6.5m high and nearly 1.5m wide. 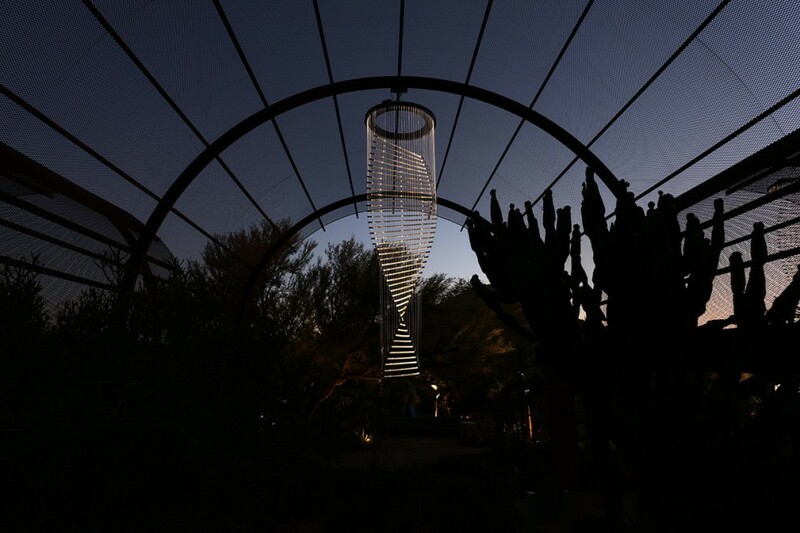 Bruce Munro: Sonoran Light at Desert Botanical Garden, Phoenix, AZ, USA.